Today I have kitchens on the brain. 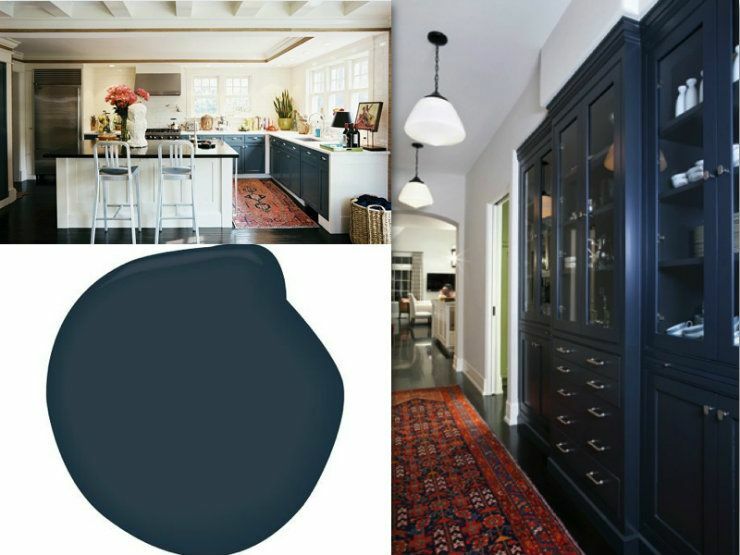 I love white kitchens but dark deep blue cabinets have been making special appearances in my thoughts. 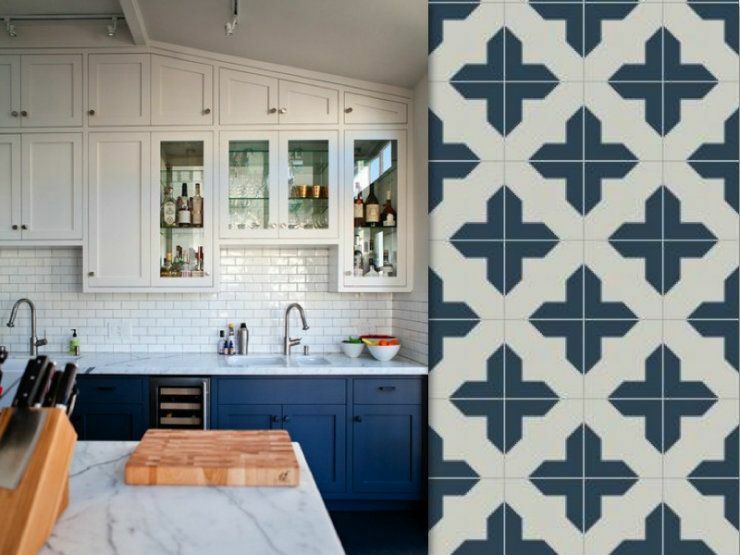 Even if a deep dark blue does not make it into my next home don't worry because you can almost 100% count on cement tiles making the cut. I am so loving cement tiles..we can save that for another post though. 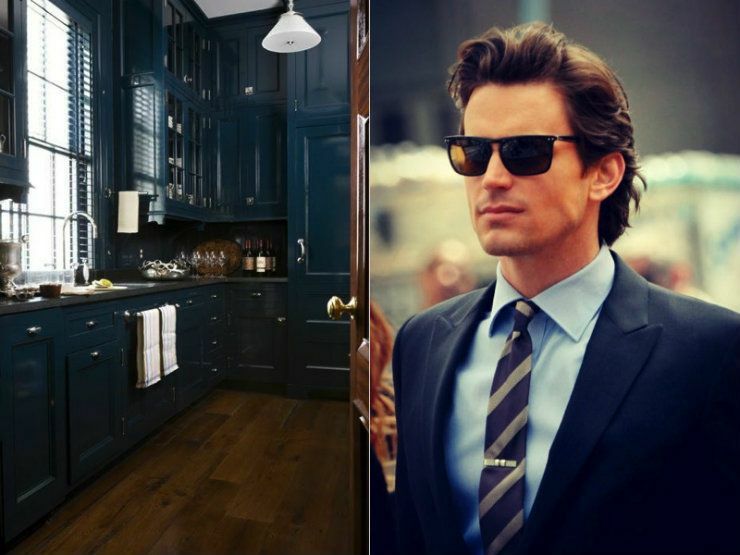 That lacquered kitchen is so handsome ... and so is that man! Haha! Your picture of Matt Bomer made me laugh. One of my all time favorite Miles Redd kitchen's! Definitely loving the blue! I did my cabinets Navy on the lowers and white above this summer and I am so happy I did. Not only does it look crisp and clean, the dark below hides kiddie fingerprints, dings and drips better. really pretty. we just renovated our kitchen - dark smoky oak gray bottoms and white uppers. love it and am devoted to black. gray. white. yum. I may be doing this is my next kitchen! 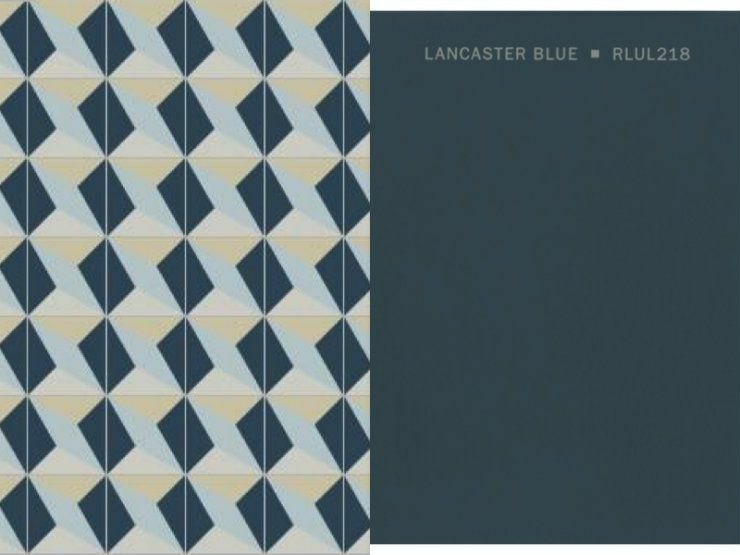 Either deep blue, or teal of some shade.